Here's some "hair of the dog that bit you" for all the folks waking up from a night of fun at the Pub Crawl. 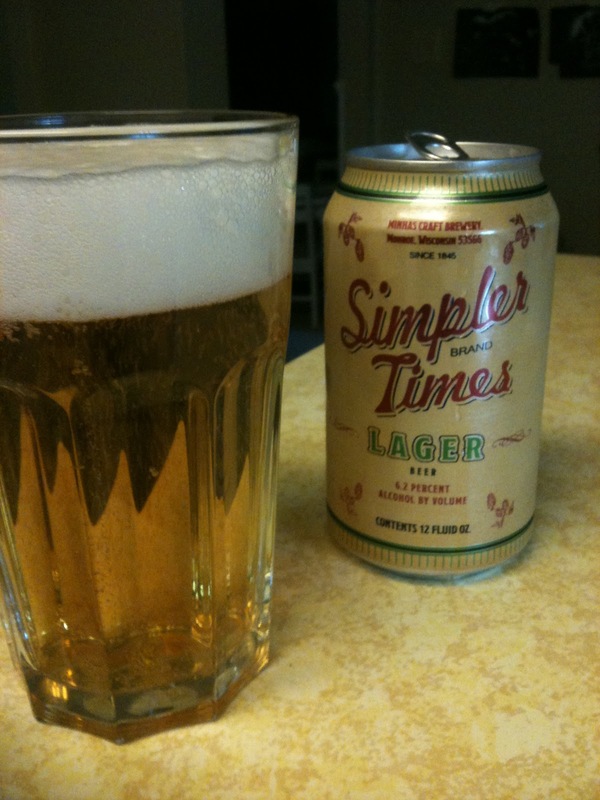 The other day I purchased a six pack of Simpler Times Lager from the Trader Joe's on Bangy Rd. in L.O. for $3. I thought the marketing of this beer was interesting. It doesn't look like beer. In fact, I had to tell my children that it was not for kids. Anyway, the guy at the checkout said it was TJ's answer to Pabst Blue Ribbon. The beer brewed in Monroe Wisconsin was bland and not at all refreshing the way PBR is. While packing my bag at the store, I hassled the checker about any info on a TJ's coming to Salem. She said she did not know but that many people from Salem ask about it. We must look like we've been stranded on a desert island, eyeballing their food, like it's nourishment that will save our lives. There are many rumors floating around about a TJ's opening in Salem. Some people think we have been denied because of our demographics which I believe is a bunch of nonsense. I'm starting to believe that it's about how much product they can get on the shelf. This Simpler Time's beer will be very popular in Salem. Does the brewery in Wisconsin have the capacity to stock another Oregon store yet? 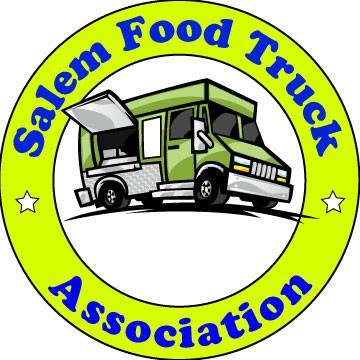 So the discussion continues about where to open in Salem. The best locations, in my opinion, are the recently closed Safeway building next to Roth's on Commercial or the long time closed Albertson's building on Commercial across from Winco. It looks like Keizer Station is out of the running, thank goodness. Of course the developers and TJ's corporate will probably want to build a nice shiny new store near I5. Where do you think Joe's should go? Why is Kaiser Station out of the running? Yes, I would like to know the same thing about Keizer Station. I would say, knowing the locations of other TJs that Keizer Station is ideal. The other two locations that you mentioned seem too larger for TJs. I hope, hope, hope they open one here soon. And a Cafe Yumm would be nice too! Jeff & Andrea, Maybe someone else with a better memory can help out, but I remember a spokesperson from TJ's weighing in after the Keizer Station sign mess-up, saying that Keizer is NOT in their future plans, but Salem is. Maybe it was in the SJ article by K Williams Brown? So the reason Trader Joe's won't open in Salem is they don't have enough product to stock the shelves? I'd like to know where that assumption comes from. It sounds like a bit of a stretch. The TJ beer is bland but it should be a big hit in Salem? What's that supposed to mean? I thought we Willamette Valley-ers liked great beer. See current growing success of local breweries springing up. Not sure how this beer will do well in Salem. PBR is popular because it tastes great ice cold (that and the trendy young expensive jean crowd co-op'ed it). They "dumbed" down the flavor of PBR in the past four years and that has been a wildly popular move. It isn't quite as sour or wheat flavored (like Blitz used to be) as before. I have drank it forever but always got frowned upon by friends and family. "gross" Now when we have a bbq, even the girls are drinking it. Lots of it. I consider PBR/Hamm's/Oly/Schlitz to be real beer - working men/women have been drinking it forever here in the US. The candy/fancy/micro beers can be left to the pinkie up crowd. Simpler Times might do well for a while because it is so cheap, but it will not hit it big. The next big thing locally is going to be Rainier. Modern day tin-can beer is a recent affiliation of the working class! Pre-prohibition brews were much sterner stuff, a lot more like today's micros than today's macros. The brewing logs of 18th, 19th, and early 20th century breweries will astound you with the amount of hops and malt they were using. PBR, moreover, is a brand only; it has no brewery, and the commercial entity behind it is a sales and marketing firm, not a brewery. As an expression of the working class it's a hollow thing. So while it's true that micros are relatively expensive, their recipes have a much longer history with the working class than do the macros, regional brands or otherwise. Snobbery is snobbery, of course, but micros aren't necessarily "pinkies up"! No offense intended with the pinkie's up comment. I just get dinged a lot by the beer snobs for drinking Hamm's/Rainier/PBR (yellow beer as they call it) so I tend to ding them back for their "candy" beer. PBR and Schlitz have been staples of the working class all over the US for a LONG time. Travel to any backwater in Minnesota or Wisconsin and almost every single bar is identified by a 50 year old Pabst sign. I believe that Schlitz was the king of beer sales for a long long time. They are associated with the working class and sportsman - - primarily because they have been readily available, but also because they are very refreshing ice cold. We have bbq's or go camping and sit around with good friends and family and drink six or seven ice cold pbr's and they taste great. If you have never had a PBR at 20 degrees cold on a hot day - you are missing out. Anon, I'm on your team! I enjoy craft and imported beers, but probably drink more BPR than any other commercial brew. I grew up on Blitz-Weinhard (a now defunct lager brewed for over a century in Portland). PBR is the closest thing to it I've found. To me, it's the best, not to mention among the cheapest, commercial lager out there. What's not to like? What is your best selling/most popular belgian beer, german beer and american beer?